Convenient for airport transit, Short & Long stay , Elderlies or Families . Located in residential area off main roads. 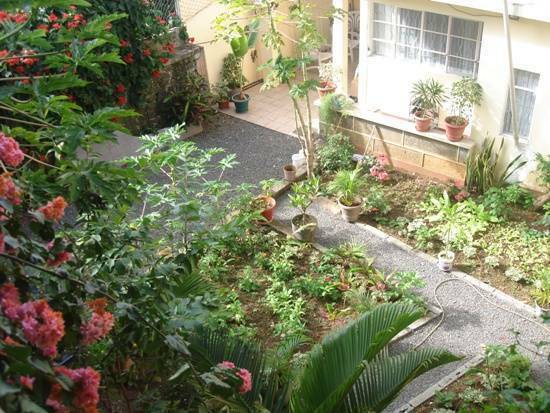 Spacious rooms with big terrace overlooking garden. Le Saladier is a unique family guest house with spacious air conditioned ensuite rooms, situated in the charming fishing village of Mahebourg, which is an ideal location on the island to start your holiday/vacation whether you plan to explore or for some well deserved rest and relaxation. 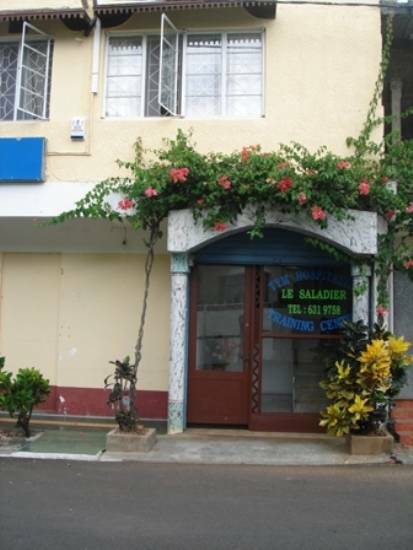 Le Saladier ideal for couples and families, offers air-conditioned en-suite rooms with a nice terrace overlooking the garden for you to relax after a strenuous day either at the beach or exploring the island. A cosy dining area and also a kitchen, should you decide to prepare your own meals. A nurse is available 24/7 should you require her for minor ailments/injuries. Convenient for TRANSIT or LONG STAY Our guest house, situated on the South East Coast of the Island is only 20 minutes drive from SSR International Airport. Blue Bay beach, the most popular seaside resort in the south of the island, with its golden sand and turquoise lagoon, is only minutes away by car/bus. If you are more into history, you can also visit the historical naval museum, only 10 minutes walk away. Le Saladier is within walking distance to all major amenities i. e. shops, post office, supermarkets, banks, chemists, restaurants and last but not least the weekly open market (Mondays only) commonly known as ‘La Foire’, which is a must to bag some great bargains/souvenirs. 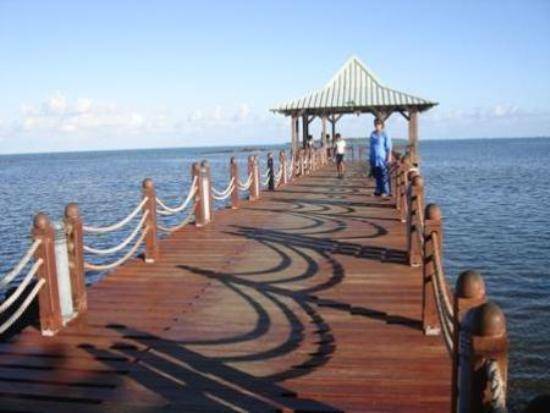 Commuting to major towns is only an hour away from Mahebourg. 	Transfers to and from the airport. 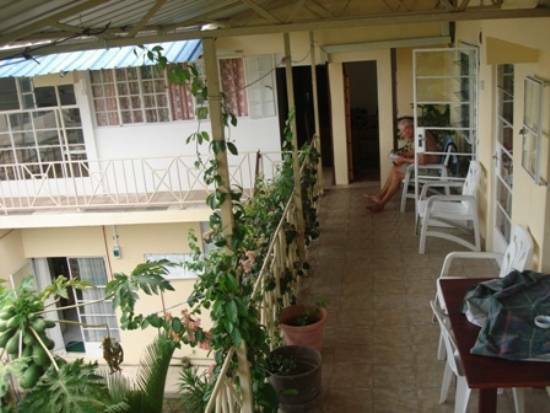 Spacious 30 sqmt Airconditioned rooms with ensuite bathroom and hot shower leading to big terrace overlooking garden. Double , single or Additional beds with orthopedic matress. Standard Wardrobe , Dresser and Easy chairs. Terrace with easy chairs overlooking inner garden. Mahebourg , once the capital and headquarters of the French , is now a big village with all amenities . Market , Bus station , Church , Temples , Mosque , Museum , Centenary biscuit factory, washiteria dated from the French time, Court House, Post office etc... Seafront with nice promenade. Nice and quiet village full of history decorated by the sea on one side and the mountains with year round lush vegetation in the background. Credit card guarantee and payment upon arrival. Follow the direction to Mahebourg. Drive straight through the first and second to the 3rd round about and turn right. Reaching the 4th round about keep to the right and drive through to the village of Beau vallon. Pass the football pitch , then the Temple and the Museum . Keep on till the Catholic church ( on your right). Turn 1st Right by the supermarket and keep to your left. Drive down to the 3rd cross roads and turn left. Le Saladier is on your right. From the airport catch the Mahebourg Bus and get off at the Mahebourg bus terminal . From the bus station go towards the sea and turn right . Walk about 100 meters and turn right by the restaurant. Walkup the road to the 4th cross roads. Turn left and Le Saladier is on your left.